Engage Serves program will be held six consecutive Tuesdays from 4:30 p.m. to 6:30 p.m. at the A-C-T Environmental and Infrastructure Training Center (1875 W. Main Street [Hwy. 60 West]). Attendance to ALL sessions is mandatory for graduation from the program. 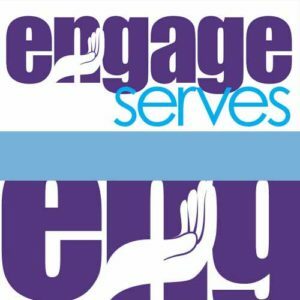 Engage Serves will begin classes in January 15, 2019. SIGN UP FOR CLASSES HERE! Class days are on Tuesdays. Engage Serves is open to young professionals who would like to participate in effective board service training at a cost of $50.00 or, if you are a member of ENGAGE, the course is considered an additional benefit of your Engage membership and is FREE. The 6-week program will be held at ACT Environmental & Infrastructure on Hwy. 60 in Bartow on Tuesday evenings from 4:30-6:30 p.m. A light meal will be provided at no additional cost. Over the span of the classes, the fundamentals of effective board service will be taught by some of Bartow’s own “seasoned” community leaders. Attendance to every class is required in order to graduate from the program. Participants will be asked to list their areas of interests in order to be added to a database available to local organizations seeking quality board members. Applications will be available online at a later date. At the end of the application period, you will be notified via email if your application has been accepted. Class size is limited. ENGAGE is a program of the Bartow Area Chamber Foundation, Inc., designed to offer business education, professional development, social networking and volunteer opportunities to ambitious young professionals, ages 21 to 42. Membership in Engage will help you improve your career, develop your leadership abilities, build your network and give back to the greater Bartow community. Members make valuable connections with peers from various industries and have access to prominent and influential leaders. SIGN UP WITH ENGAGE TODAY!